IT Services is the central IT department for the University of Oxford. The deliver a wide range of services to support the work of staff, students and academics throughout the University. 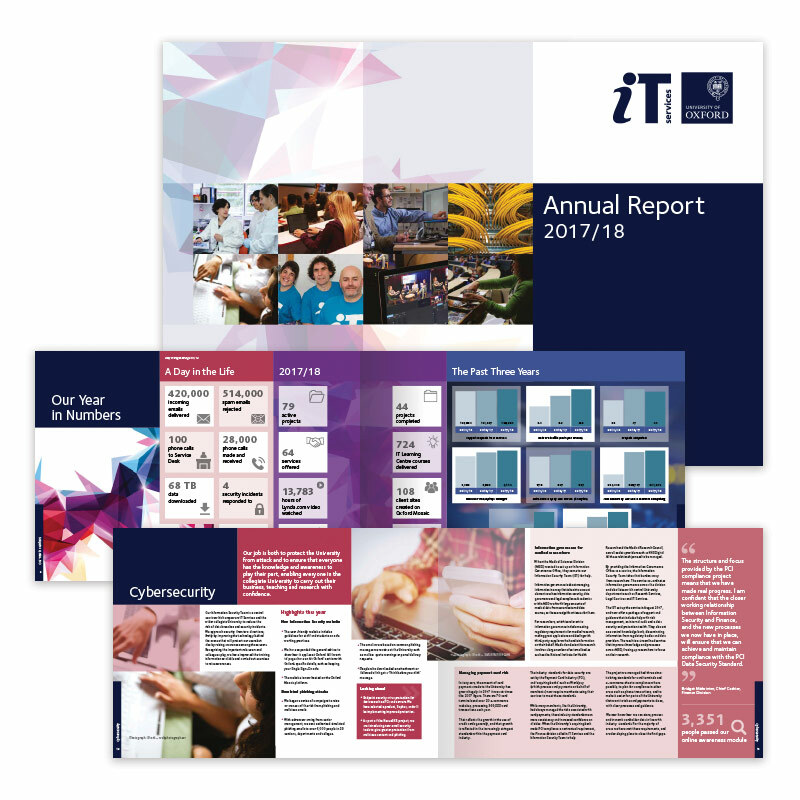 I was asked to art direct and design their Annual Report, created to give a picture of how information technology has changed and how the IT Services department has changed with it during 2017–2018. Working with content consultant Penny Kiley, who crafted content after we worked on initial concepts and designs, the twenty-page report is centred visually around both image and colour. The report provides a series of overviews of IT Services activity, including a large amount of information, infographics, and imagery.